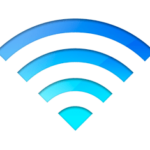 Here is how you can troubleshoot your Wi-Fi problems you may experience while using your iPhone, iPad, or iPod touch running iOS 7. For best results, please complete each step before moving on to the next one. 1.Reset Your Network Settings by tapping Settings > General > Reset > Reset Network Settings. Then tap Settings > Wi-Fi > and join your Wi-Fi network. Please note that resetting your network settings will reset everything including your passwords. 4.Forget your current network by tapping Settings > Wi-FI > Your Wi-FI network > then tap the (i) sign and Forget This Network. 5.Make sure that AirPlane mode is off (Settings > AirPlane Mode). 6.Tap Settings > Wi-Fi and find your Wi-Fi network and tap the (i) sign and Renew Lease. 7.Turn on AirPlane mode then tap Settings > General > Reset > Reset Network Settings. 8.Try putting your phone into DFU (Default Firmware Update) mode. 9.If your device’s name is something like “Tim’s iPhone” (tap Settings > General > About > Name), apostrophe may be the problem. 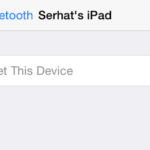 Change your device name (remove the apostrophe). Yes, same thing happened to me I updated to IOS 7 and the wifi stop working.I call apple and they said it was not because of the update and it was a coincidence that my Iphone 4s stop working with the update. SHAME on you apple. YES!!! I have been having trouble connecting to my Verizon router for months. I have tried everything until it occurred to be that the apostrophe in my iphone name “Scott’s Iphone” might be causing the problem. I removed the apostrophe, and Viola’!!! Worked like a charm. After upgrading to ios7, wifi died. Two support calls and a tip to the apple store later, they tell me it’s a hardware issue. They say it’s impossible to go back to ios6 and say its pure coincidence the OS upgrade and the wifi being frayed out happened at the same time. Shame on apple! A $525 stock and they won’t replace my 7 month old i4s. No more Apple – ever. The last great company died with Steve Jobs. I have the same exact issue, with the same timeline. This is the second time that this happened to me. Same thing happened with my iPhone 4. This is the last time I will be using Apple. I would not have a problem if this was an issue that I created, but this was an issue APPLE created and now refuses to fix THEIR own problem. SHAME, SHAME, SHAME on Apple, and it would be an even worst SHAME if I bought another iPhone after experiencing the same exact problem with the Apple upgrade YET again….